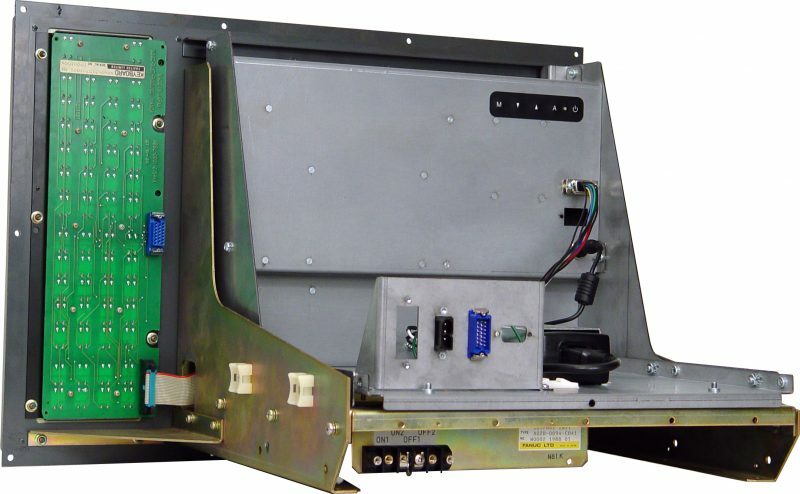 Model QES1514-055 14.1 In LCD replaces Dynamic Displays, Inc. QES2014-188, 14 In Color CRT Displays used in Fanuc Series Control – A61L-0001-0074. 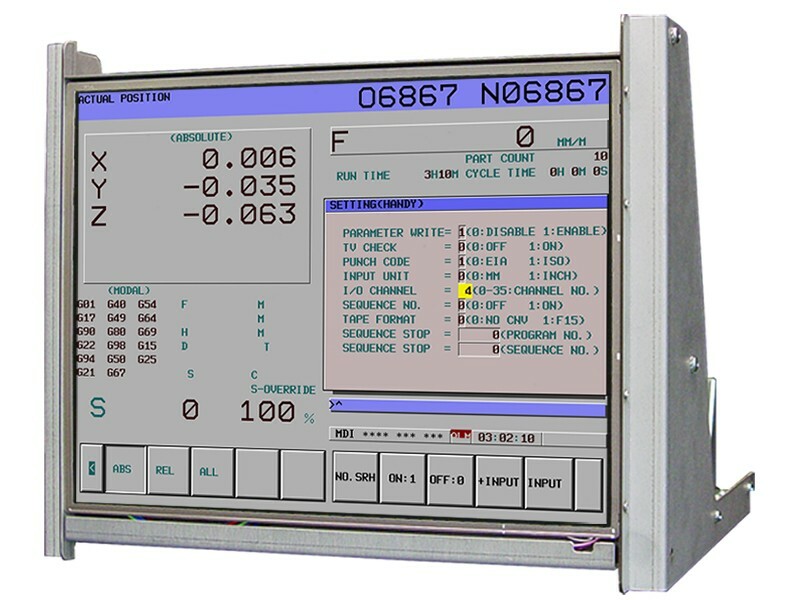 When you need a replacement monitor for your Fanuc CNC 14” CRT Monitor, why not consider installing a modern, high-quality 14” LCD display instead? 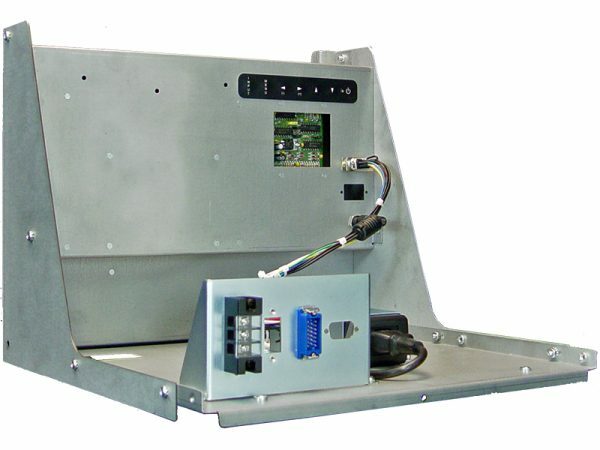 We’ve made it easy for you by designing the rugged, open-frame chassis of the new QES1514-055 LCD display so it can drop into the mounting holes of the original A61L-0001-0074 Fanuc monitor and A61L-0001-0094 Fanuc monitor used in the Fanuc Controls 6, 10, 11, 12 and 15 systems, making it unnecessary to replace your original Fanuc CNC 14” CRT Monitor chassis. What’s more, the video input circuitry of the QES1514-055 accepts the TTL video signals from the original FANUC system with no need for signal adapters of any sort. This makes the QES1514-055 14 inch Fanuc monitor retrofit LCD display an ideal Fanuc Replacement Monitor for all A61L-0001-0074 Fanuc monitor and A61L-0001-0094 Fanuc monitor models, including the DNC 74 Monitor series; the Matsushita TX1404, TX1404AB, TX1424, TX1424AB and TX1450AB monitors; and the Hitachi C14C-1472DF, C14C-1472D1F and TX-1424AD monitors; and Toshiba D14CM-06A. Additionally, while this QES1514-055 14 inch LCD display has been optimized to operate at the 20.3KHz/55.25Hz FANUC control console timing, it also operates with a variety of other TTL legacy monitor timings, making it a drop-in replacement LCD monitor for other CRT monitor brands, such as Tatung, Matsushita, Hitachi, and Toshiba.